The Royall House and Slave Quarters, a National Historic Landmark, has been open to the public since the early twentieth century. 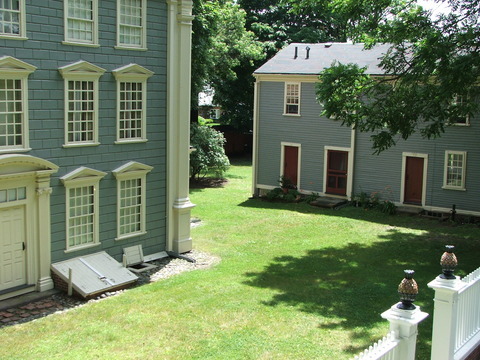 Today, visitors have the opportunity to tour a unique, architecturally significant Colonial mansion house and what are believed to be the only surviving freestanding slave quarters in the Northeast. The mansion and slave quarters sit on a 3/4-acre site that in the eighteenth century was the heart of a five-hundred-acre estate. The Royalls transformed the landscape of their property to include a substantial working farm as well as orchards and pasture. The grounds still include a portion of an elaborate Georgian summer house that was the focal point of extensive gardens. Exhibits on display in the slave quarters include materials unearthed on the site during archaeological excavations conducted between 1999 and 2001.